AFL fans, well the wait for series 2 is over! Select have just released the official sale and checklist for 2018 AFL Legacy! In the eighth episode Mojo King reviews that what was the year 2017. Once again he is joined by Nick Russo. In the seventh episode Mojo King returns after a busy spell and is joined by Nick Russo. In the sixth episode Mojo King returns after life saving surgery and is joined by Paul Richardson aka Richo. In the fifth episode Mojo King is joined by ex TeamCoach Head Designer, Doug Clemmens. It’s lunchtime and we’re back again! This week we focus on Aussies in the NBA and their current and possible destinations and predictions for the up and coming season. 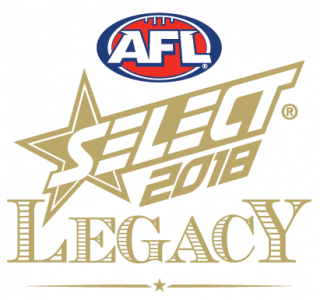 In the third episode Mojo King is joined by Robert Verhoeve (aka Rob) over the phone, they discuss a little about how Rob got into the hobby and talk about AFL Finals Predictions. It’s lunchtimeeeeeeeeee! We’re back for another week! -Possible destinations for Kyrie – what trades will work? Today’s show we discuss the Kyrie Irving situation with the Cavs, the ‘Melo’-drama and more!